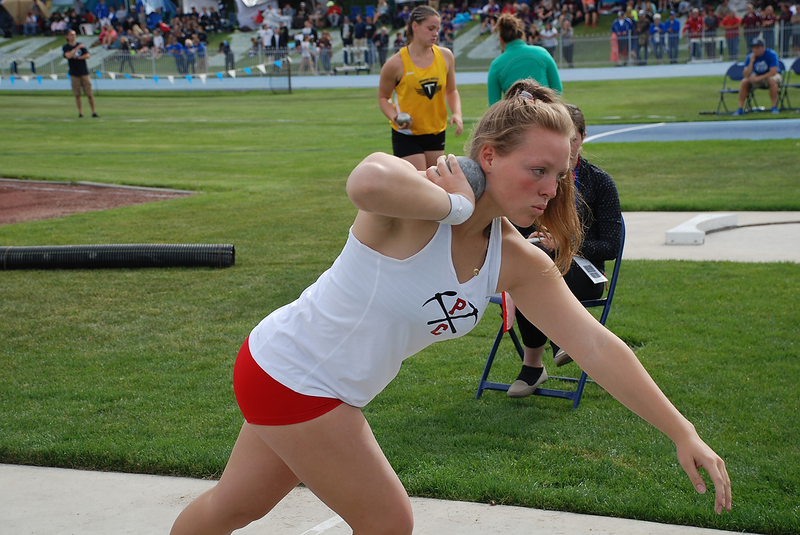 Park City s Kambridge Van Der Veur prepares to throw a shot put at last weekend s 3A state track meet at BYU. 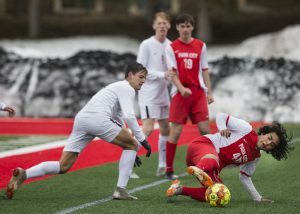 Looking at the standings for the 3A state track meet, held at Brigham Young University in Provo last weekend, it doesn’t appear the Park City High School track team had a very good performance. The Miners finished in eighth place overall with 57 points between the girls’ and boys’ squads. First-place Desert Hills, by contrast, earned 236 total points and second-place Cedar had 183. 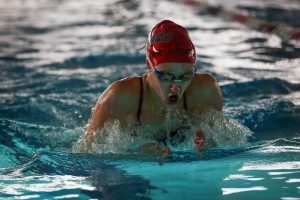 But, when looking at the individual results, it’s clear a few Miner athletes excelled, as the team earned three second-place finishes and two third-place finishes. 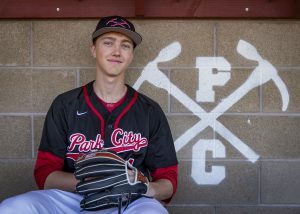 Leading the way for Park City was senior Kambridge Van Der Veur, who was one of the most versatile athletes at the event according to Coach Steve Cuttitta. "Kambridge threw very well — second in the shot put, third in the discus and fifth in the javelin," he said. "She didn’t come away with a state title, but she was within a foot in the shot and a couple feet in the discus. To score in three throwing events is fantastic. Most throwers are good in one, maybe two. For her to score in all three shows her versatility." Van Der Veur threw 40 feet, 11.75 inches in the shot put; 119 feet, 9.75 inches in the discus and 108 feet, 5.50 inches in the javelin. Cuttitta said Van Der Veur’s strong performance late this season ensured her a spot on a track team at the collegiate level. "She’s going to UC Davis next year," he said. "She got a scholarship just a couple weeks ago. Things worked out really well for her. I’m happy for her. Overall, [the state meet] was a great meet for her. She was one of the top scorers in the whole state." Junior Eli Alford led the PCHS boys’ squad, snagging a second-place finish in shot put. Cuttitta said the final round was a roller coaster for Alford. "Going into the last throw, he was not in first," Cuttitta said. 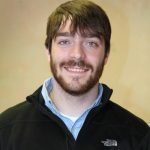 "He was the second-to-last thrower and threw the furthest to take first place with one throw to go. Then the thrower behind him, from Morgan, threw three-quarters of an inch farther to win." Alford’s throw of 50 feet, 2.75 inches was only barely bested by Morgan’s Jarred Carrigan, who threw 50 feet, 3.50 inches to earn the gold medal. "It was clutch for Eli to make his last throw his best to take the lead," Cuttitta said. "But it was even more clutch for the Morgan thrower to do the same." In the distance running events, Madison Carr led the Miners in both the 1,600 and 3,200-meter races. Unfortunately for Carr, Bailey Brinkerhoff of Desert Hills was slightly faster in both competitions. Carr took second in the 1,600 and third in the 3,200. "Madi ran the 1,600 as well as she could have run it," Cuttitta said. "Everything went to plan and she tried to take it in the last lap, but there was just a better runner in that race. She got second, but not for lack of effort or tactics — I thought she ran a perfect race. She just came up a second short." Carr finished the 1,600 with a time of 5 minutes, 12.34 seconds, just behind Brinkerhoff’s winning mark of 5:11.56. Though Carr finished with a 3,200 time of 11:18.58 to Brinkerhoff’s 11:14.05, Cuttitta said he was more impressed with the PCHS junior in that event. "After the 1,600, she was really sick for the rest of the meet," he said. 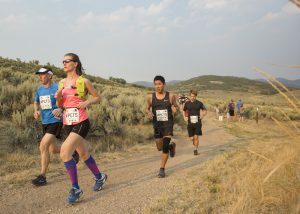 "In the 3,200, she could barely get to the starting line and we were thinking that it could go poorly. Halfway through the race, she was in eighth and shaking her head wondering if she could even finish the race. Somehow, she found whatever drive there was within to catch people. It was one of the best races I’ve ever seen of someone just gutting it out on certainly not their best day. To get third was really a testament to her will and spirit more than her athletic ability." Other notable finishes for the Miners included Mason Stephens’s fourth-place finish in the boys’ 400 in 49.72 seconds and the boys’ 4×400 relay team of Stephens, Nesta Heaps, Connor Laurence and Victor Casarrubias also taking fourth. Senior Leah Anderson has been hampered by injuries the last month, but her seventh-place finish in the 100 was a nice finish to her high school career, Cuttitta said. "She wasn’t ecstatic with it, but she did score points at state, which was nice to see," he said. Heading into 2017, Cuttitta said both the PCHS boys’ and girls’ teams have reason for optimism. "Both teams will have a superstar in Madi and Eli," he said. "We lose parts of each relay team, but we bring parts of each relay back, which is encouraging. We had a great class of freshman girls, many of whom competed at state. Skylar Jackenthal, Kate Young, Katie Brotherson, Louisa Keating and Haley Maki all came to state and either competed or were alternates. That’s huge for next year. "For the boys, we need to do some work. We have plenty of boys coming back, but they just need to improve. Now that they’ve seen it one year, hopefully that will be their motivation for next year."